Its August. Summer is in full swing and the Fall marathon season is nearly upon us. I hope that your training is going well and that you are feeling confident for your upcoming races. But it’s August. And that means is time to start thinking about a Winter 2017 marathon, which is a short four to six months away (even if it seems the heat you are enduring these days may never end). It means the very best races are starting to fill up. Prices are starting to increase. And training plans are coming together. Let me make a simple suggestion: Make a date in Phoenix, AZ the last weekend in February and sign up for the BMO Harris Bank Phoenix Marathon, to be held February 25th, 2017. Full disclosure: I’ve been selected as a 2017 Race Ambassador. Basically what that means is that I can offer a discount of $10 on your half/full race registration by using the discount code “Rychen10” (and you can save a few more bucks by posting to Facebook after you’ve registered). But Ambassadorship or not, Phoenix is on my calendar every year. And you should seriously consider putting it on yours as well.В It has everything you expect from a big-time race without the big corporate-run, cookie-cutter, cattle-herding feel of some other races, as it’s locally owned, supported and operated. There’s the huge expo, the swag, the fireworks display before the starting gun, an early start time, the gradual downhill course through orange and grapefruit tree-lined streets full of community support, the morning sunrise, plenty of well-stocked aid stations exactly where you expect them to be, the multiple pace teams, a unique heavy-duty medal, the free 1k kids race, the huge finish line festival and of course…the PR bell. All in all, it’s a party, you’re invited, and you should be there with us in February. 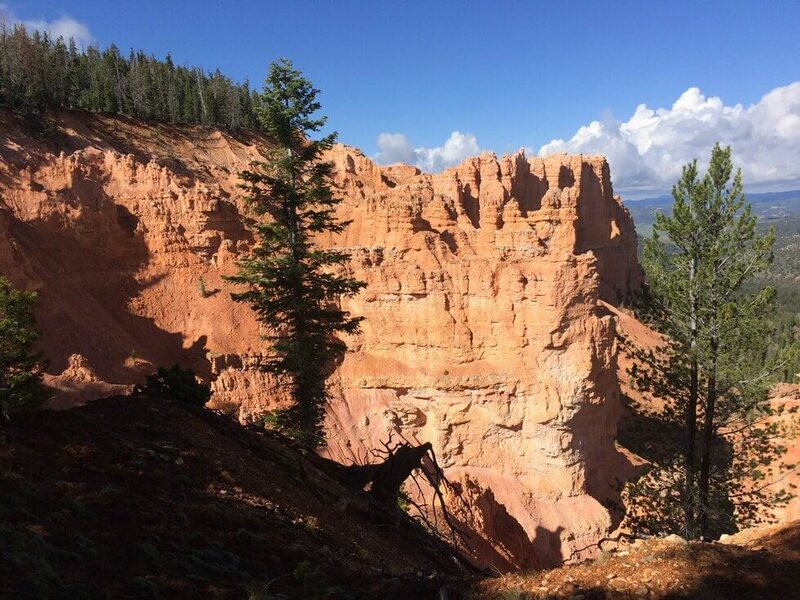 I was excited to run the beautiful Bryce Canyon 50 miler course. However, the week before the race, I did the Mojave Death Race. I thought it would be a nice tune up for this ultra. On the contrary, the Mojave Death Race was very competitive and I pushed myself really hard. 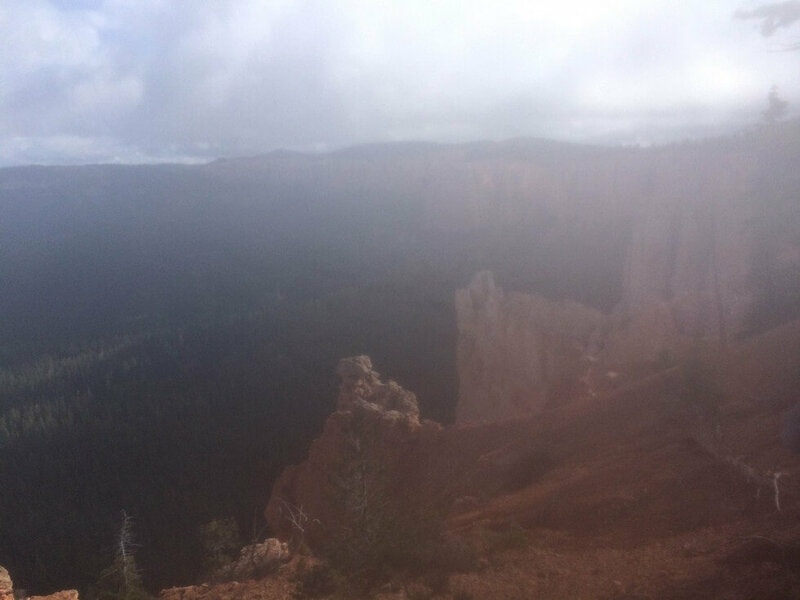 I was sore and my hamstrings were particularly tight the week leading up to Bryce. I did everything I could to recover quickly including massage, extra rest, foam roller, and lots of eating. 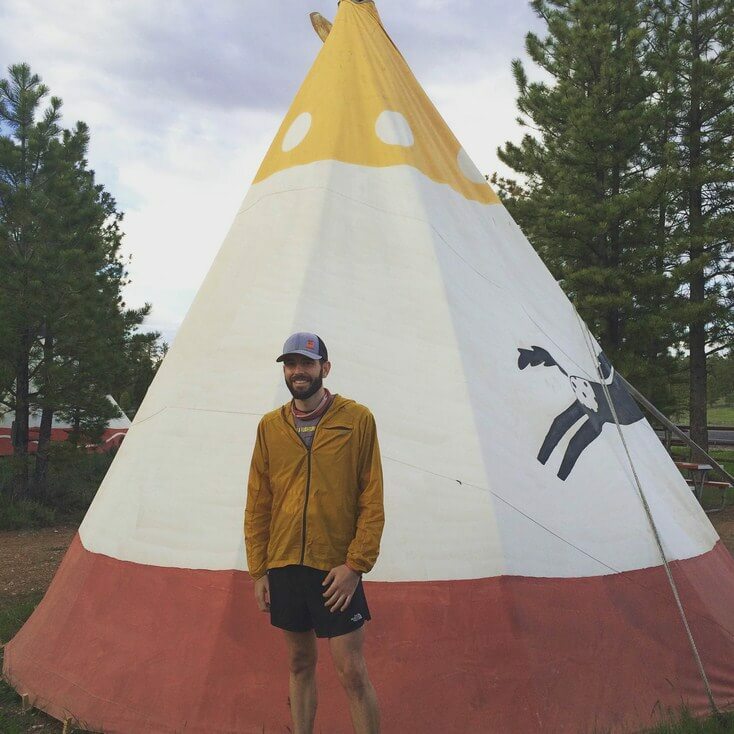 For the race, I camped out in a tipi in RubyвЂ™s campground the night before. So cool! It rained the night before and it looked like the weather could continue throughout the weekend. I got up early Saturday morning in the cool weather for the shuttle to the start. I had no idea how my body would respond to the mileage. Would I get 13 miles in and have my hamstrings give up on me? Did I have the energy stores for the full distance? I was uncertain but I was willing to give it a shot. I decided my plan would be to start towards the back of the pack and take it very easy in the beginning to see how I felt and go from there. The race started out quite foggy. Unfortunately, one of the more promising scenic locations, the pink cliffs, was completely obscured by fog. Bummer. 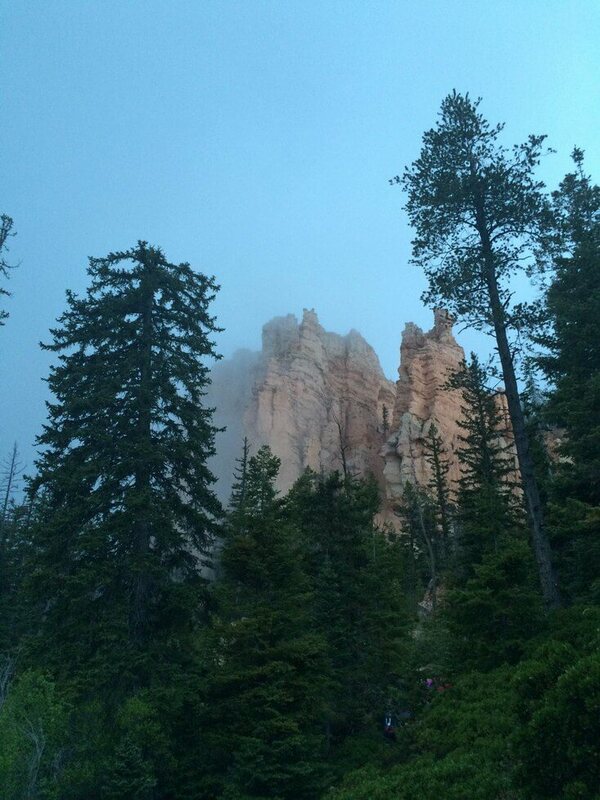 The fog cleared up later in the race and there were certainly some great views of the unique formations Bryce Canyon has to offer. I was plugging along at a relaxed pace. The miles were coming easily. The aid stations seemed to come quickly. Keep in mind that I did a Grand Canyon R2R2R a month before, as a training run, for Bryce. When people asked if Bryce was hard, I feel like my perspective was a bit skewed to answer that question properly. Yes, it was difficult. 50 miles is never easy. However, it was easier than the Grand Canyon rim to rim to rim run. I also learned a lot about self-reliance in the Grand Canyon. 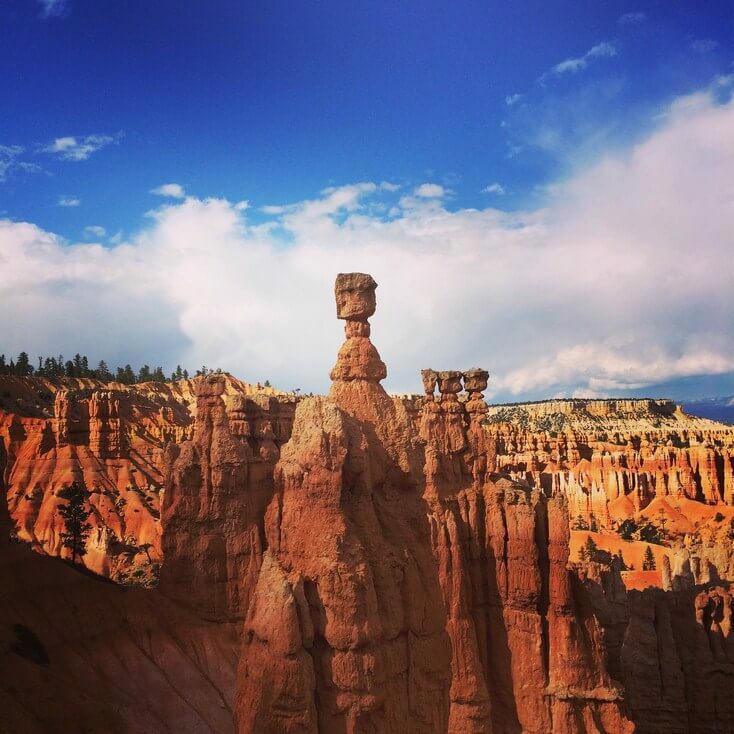 At Bryce, I felt less dependent on the aid stations. They were nice to have along the route but I knew I could get by without them. One thing I should add is that they had cake at the aid station at mile 33. It had been my birthday recently so I felt it was appropriate to have a small piece during the race. As the miles ticked by, I felt more confident. I enjoyed running this course. The scenery was diverse and beautiful. The aid station volunteers were kind and helpful. One particular runner and I kept passing each other from time to time, and whenever we saw each other we would enthusiastically cheer for the other. On the second half of the course, the clouds rolled in. There was rain, then there was hail (ouch), and then there was lightning. A few nearby lightning cracks and I took off! There was another runner hauling with me. It felt like we were moving quickly (quick is relative this far into an ultra) trying to get out of the storm as quickly as possible. We were getting pelted by that hail. Thank goodness I had my Patagonia Houdini jacket and a hat to protect me. Once we got through the storm, the other runner and I laughed about it. There was quite a bit of rain and the hail returned once more later in the race. The trails were muddy at parts. They were mostly runnable with some sticky mud parts to try to avoid. Overall this was a solid experience. Everything went so smoothly. I set a conservative goal for myself and I finished an hour before that goal. My body felt good and I have recovered well. The race swag was great! I got a shirt, a trucker hat, and a handmade finisherвЂ™s bracelet. The Grand Circle Trails / Ultra AdventuresВ race company puts on great races at amazing locations! Gear: Hoka One One Challenger shoes, TAUR trucker hat, Patagonia Houdini jacket, Desert Dash trail race shirt, The North Face Better than Naked shorts, Injinji 2.0 midweight trail socks and buff, Garmin 620 watch, and Nathan hydration pack. 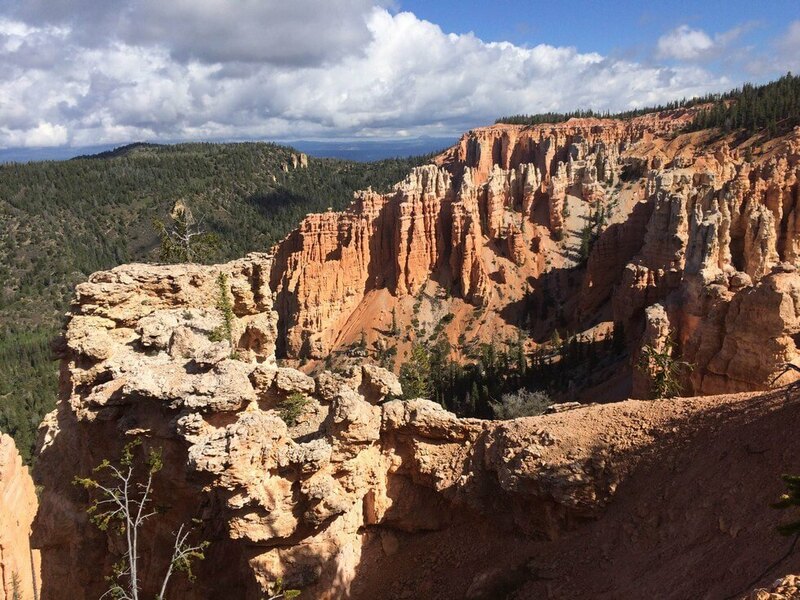 I definitely stuck around for another day after the event and saw some of the amazing views/trails that Bryce Canyon has to offer (See Below). We are happy to announce that the Newport Marathon has been added to our 2015 Saturday Select Series for the state of Oregon. I (RJ) have a special place in my running heart for the Newport Marathon вЂ“ it was my very first marathon back in 2010. I was fortunate enough to run it again in 2011 and had a great experience both years. The race is now in its 16th year and continues to improve and respond to an ever-changing running environment. The race is always held the Saturday after Memorial Day, which this year is May 30th. 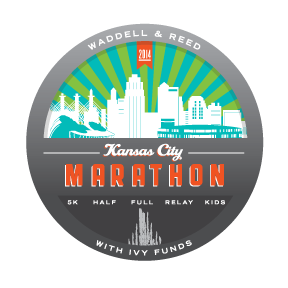 Limited to 1000 participants, the 2015 race is nearly sold out, but there’s still time for you to jump in! The course is USATF certified and sanctioned and a Boston Marathon (and Olympic Marathon Trials) qualifier. If youвЂ™ve never been to Oregon, Newport is a great place to visit and this is a great race to run. 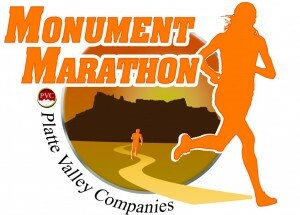 Head on over to the race website and get yourself (and a buddy) registered today! The winter months can be a rough time for us marathon runners. Training in the rain, snow and/or ice (depending on where you live) along with shortened daylight hours can be difficult. If you’re anything like me, having a race on the calendar keeps me motivated and gets me out the doors on days I would rather stay in my warm bed a bit longer. ButВ Spring 2015 is so far away. Too far to keep me motivated through the darkness and cold of December, January and February.В But therein liesВ the problem:В finding a quality winterВ road marathon. Luckily, there are a handful of races that are worthy of your attention, your dollars and your sweat. We’ll be spotlighting a handful of them here in the coming weeks. 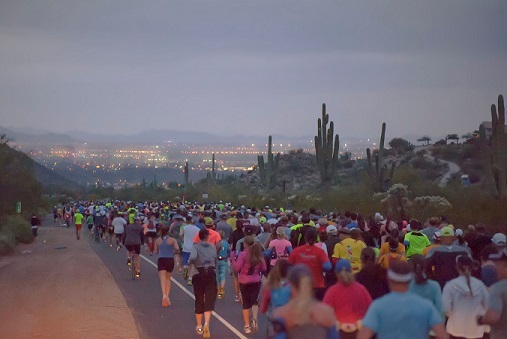 Our first winter marathon preview is The Phoenix Marathon, our Select SeriesВ race for Arizona, which will be held on February 28th, 2015. I’ve run more than 50 races of varying distancesВ in the past five years (17 of them marathons). Almost without exception, those that have Race DirectorsВ who are also runners are great races. 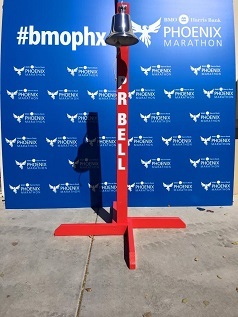 Jamie, the Phoenix Marathon director, travels to expos all over the country on behalf of the Phoenix MarathonВ and runs many of the races she attends. She even qualified for Boston this past June at the Utah Valley Marathon (congrats, Jamie!). Everything good about this race stems from this. She’s a runner. She knows what runners want and need and when they want and need them. Due to a friend’s pre-race injury, I ran the course last year on zero training.В None. I took November,В December and January off,В completed exactly three runs of about six miles and one 13-mile Saturday runВ in February — and I STILL ran my average marathon time on this course. It made me excited to think about what I could do if I actually trained for it. It’s a gentle downhill for 24 of the 26+ miles. Just enough to propel you to a PR, but not so dramatic to cause your quads to curse your name for days afterwards. It’s scenic, you’re not out in the middle of nowhere for hours, there’s crowd support nearly the entire way after about mile seven or eight and you’re never worried about being mowed down by some idiot driver. If you want a more detailed mile-by-mile course preview, this is the best one I have ever read HERE. Below is the elevation chart. How annoying is it when you’re planning on (read: desperately looking for)В an aid station to appear at mile 20.7, because that’s where the race website said it would be, only to find that it’s actually closer to 21.1? None of that here. Starting at mile 3, there are stations at each odd numbered mile marker up to mile 21, where they appear at each mile marker to the finish. Bananas and oranges are provided at four of the stations and Clif Shots are provided at an additional three. First aid station volunteers get you in and out on your wayВ like an Indy 500 pit crew. There are so many other little things that I noticed were done right (likeВ ample port-o-potties all over the place, starting line gear-drop, a party at the finish line, music, happy and enthusiastic spectators, etc). Too many to mention here. Just know that from the time I arrived at the bus pickup to the time I got in my car and left afterwards I felt like the race had been put on exclusively for me. The shirt is one you can wear proudly on a run or to the grocery store, the medal is unique, heavy and high quality and the arm sleeves in last year’s swag bag are my go-to accessory item when it’s a little chilly outside. Remember that rain/snow/ice/darkness thing earlier? Welcome to Arizona. Enjoy it. I will say that it did rain on us as we awaited the start of the race last year. No matter, it wasn’t cold. The on again/off again light mist throughout the morning was actually great to keep my body temperature down. But race days was beautiful. 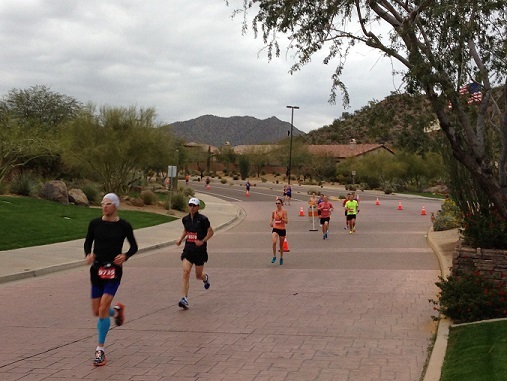 Slightly overcast, temperatures that warmed up to the 60’s and sunshine in the afternoon after finishing. I should mention at this point that this is only Year 3 of this race. It’s sold out all 3,000 marathon spots each of the first two years. They’ve been able to increase that number to 4,000 this year, but don’t wait. When the spots are gone, they’re gone. I can’t recall another race that has grown so quickly in its first two years (there’s also a half marathon with a 6,000 cap and a 10k with a 2,000 cap as well as a kids 1k race). That only happens because of the reasons detailed above. Hurry up and get over to theirВ registration page now! 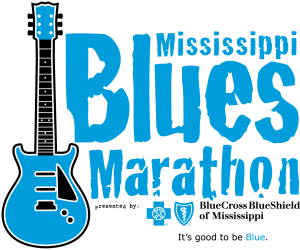 With just under 90 days left until race day, there’s still time to train for this race. So give yourself (or someone else) a gift, secure your spot now and book your reservations to Arizona. It’s not a race you’ll regret running. A race report / review / preview index has been created so some of those old write-ups don’t get buried among the new posts. This is meant to be an easy index to find Saturday races we have written about. Thank you!